Happiness, now 25% off. Icons of modern consumerism, the shopping mall is and will always be the best place to squander our youth. We are mallrats. Are Bay Area malls doomed with the inevitable closing of Sears? There isn’t any chance that Sears can survive in its current state. So how will its closure affect Bay Area malls? We are no strangers to department store consolidations and liquidations. Bullock’s, Liberty House, Emporium-Capwell, Montgomery Ward, Mervyn’s all have come and gone. History has shown that some malls fail and some thrive with change. Former anchor spaces have been converted to new department stores, cinemas, and inline stores. One thing is for sure though; malls will never be the same without Sears. I predict a small number of malls will falter in the region. 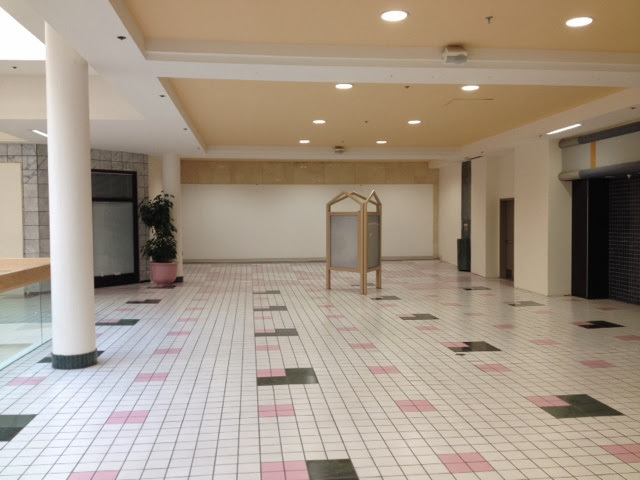 Antioch’s Somersville Towne Center is at risk. The former Gottschalk’s is still empty and the former Mervyn’s is now a Fallas Parades (anyone heard of them?). Macerich, the mall’s former owner, sold the property in May of 2014. Fairfield’s Solano Town Center is also at risk because the once 5-anchor store property will now have just two anchors. Seems like a good opportunity for Macy’s to open a second location. Santa Rosa Plaza, while the most upscale mall in the region, will be down to one anchor store. Half the former Mervyn’s site is still empty. Richmond’s Hilltop Mall is always a risk (the mall is in receivership). Northgate Mall is a risk, but if the existing cinema replaced Sears, then the former cinema space would be returned to retail. This could really be an opportunity. Some malls may actually do better without Sears. It’s not unusual to see foot traffic die off near a Sears stores today, so replacing them with something more viable would be an improvement. Those malls include Sunvalley Mall, Southland Mall, Newpark Mall, Stoneridge Mall, Roseville Galleria, Arden Fair Mall, Northgate Mall, and West Valley Mall. Now if JC Penney were to close some of these locations, malls would be in real trouble. Macy’s, JC Penney, and cinema. Former Mervyn’s now a Sports Authority and Forever 21. Here's the top 3 shopping malls where gun-related violence has made headlines since Sept 2013. It should be noted that no shots were fired inside any malls during this period. Aug 11, 2014 - Man shot in parking lot after shoe-store altercation. Jan 19, 2013 - Adjacent Bayfair BART station, two people shot, one fatally. Dec 20, 2013 - Man shot in parking lot after altercation. Dec 20, 2013 - Shots fired in parking lot. Sep 14, 2013 - Man shot near mall. I never consider it a good practice when a mall anchor seals up a mall entrance, but that's what the newly remodeled Macy's at San Leandro's Bayfair mall has done. The upper level access is now closed. My only guess is for loss prevention, but it looks like MadisonMarquette is giving up entirely on Bayfair's upper level. It currently houses a college and dialysis outlet, but the rest is empty. A single set of escalators provides access but no elevator. The floor hasn't been updated since the 80s. Those familiar with Bayfair may remember when the upper level was the only mall access to Montgomery Ward. However when Target demolished the building, it built a new one lower down. Westfield Valley Fair mall in San Jose. In fact, the Westfield brand emerged as the clear winner among favorite malls, capturing 40% of the the top 10 malls. Westfield San Francisco Centre trailed at a respectable second place. 20% of the top 10 goes to outlet malls: the Great Mall in Milpitas and Livermore Valley Premium Outlets. With the opening of the Livermore outlets late 2012, this comes as no surprise as retail tourists continue to flock to the area's newest outlet shopping center. 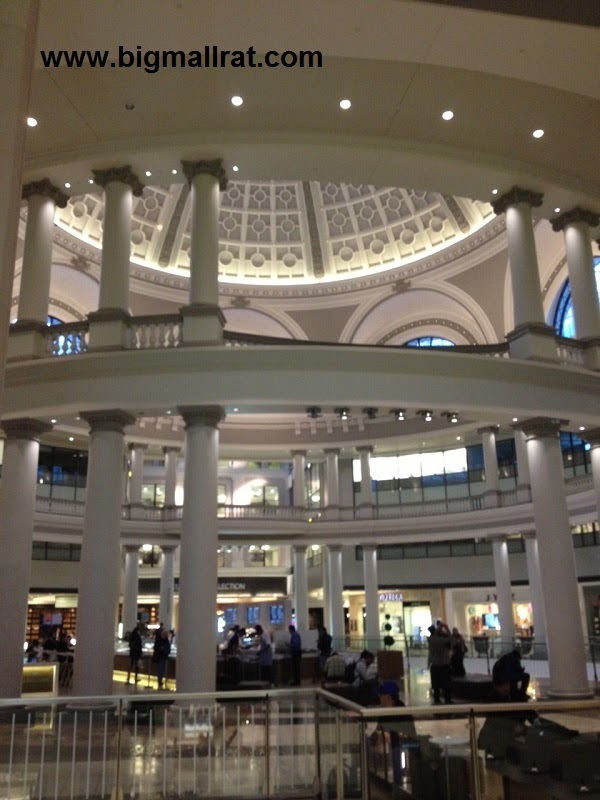 The only surprise in the list goes is the fourth most popular mall, the Crocker Galleria in San Francisco. This small, but architecturally stunning mall draws a surprising number of pageviews. 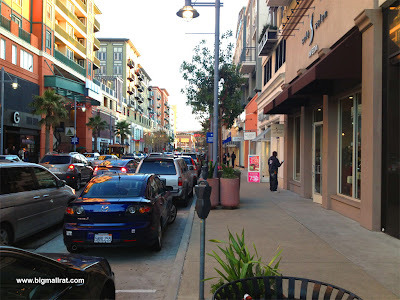 Bay Street Emeryville - A Success? Paying to park at a mall seems, well, contradictory to attracting shoppers. But for Bay Street Emeryville, it hasn't affected the consumer base significantly. In fact, the trend to pay-to-shop has spread, most recently to Santa Rosa Plaza mall in Santa Rosa. Bay Street Emeryville has a 16 screen cinema, upscale shops, and chain dining. More than enough to bring people in. The alternative is driving into Walnut Creek, Pleasanton, or paying even more to go to San Francisco. Guess the $2-3 dollars for the first 3 hours is worth it after all. 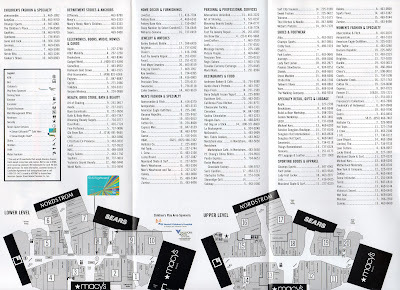 A mall directory from Stoneridge Shopping Center in Pleasanton, California. Considered one of the best malls in the East Bay, Stoneridge has five anchors: JC Penney, Macy's Women's, Macy's Men's, Home, & Children, Nordstrom, and Sears. H&M has a two story junior anchor near Penney's and Forever 21 is building a two-story junior anchor next to Macy's Women's. Stoneridge mall, build by Taubman, opened in 1980 with JC Penney, Emporium-Capwell, and Macy's as anchors. Nordstrom and an expansion came in 1990 and finally Sears joined in 1996. The only minor remodel since opening occurred in 2007, bringing with it new flooring inlays and plush seating areas. Stoneridge Mall, now owned (50%) and managed by Simon Property Group, has held its own for over 30 years. The mall's only serious competition is the new Livermore Outlets, also owned by Simon Property Group. While some would argue outlet shoppers are a different breed. Reuters is reporting that Macerich has put Capitola Mall and Northridge Mall in Salinas on the block (that is, the person who offers the most money for the mall can buy it). Macerich is looking to offload many of its B Class malls, which are malls that generate at least $350 a square foot. Class A malls generate at least $450 per square foot. Sources also report that Capitola Mall and Northridge Mall both have occupancy rates greater than 90%. 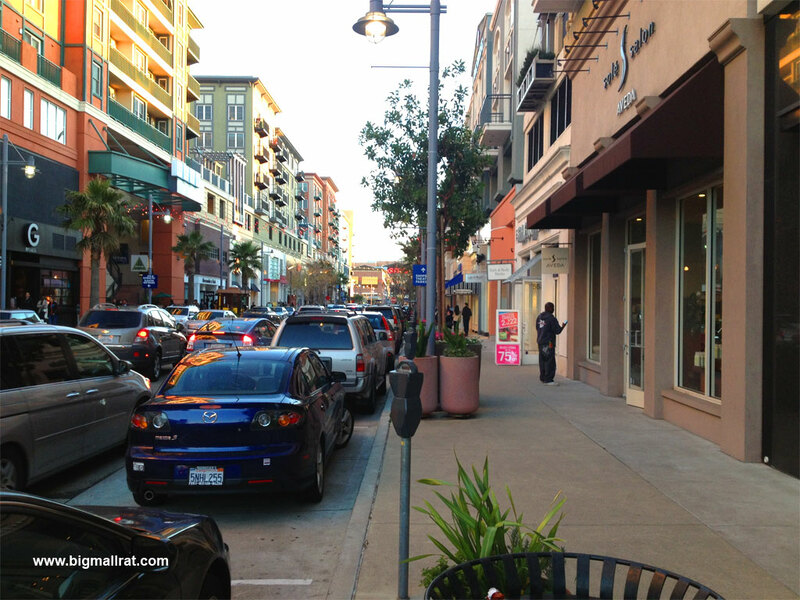 Essentially, the malls would seem profitable, but not enough for Macerich. Before the paint has dried, Paragon has sold the outlet mall in Livermore. But good news, it was sold to Simon Property Group, the owner of most of the other outlet malls in the state. The transaction occurred on December 5, 2012. Read the full story here. The outlet mall has been renamed to "Livermore Valley Premium Outlets"
I'll just stick to calling it the Livermore outlets. BART (Bay Area Rapid Transit) is a great way to way to get around and stops near a number of San Francisco Bay Area shopping malls. West Dublin/Pleasanton station - Stoneridge Mall, walking distance. Bay Fair station - Bayfair Mall, walking distance. Embarcadero (SF) station - Embarcadero Center, walking distance. MacArthur (Oakland) station - Bay Street Emervyille via the free Emery Go-Round shuttle. 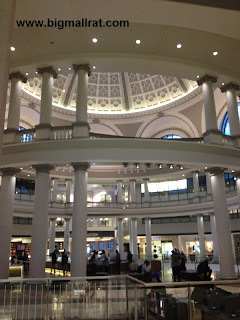 Powell Street (SF) station - Westfield San Francisco Centre and Union Square, walking distance. San Bruno station - The Shops at Tanforan, walking distance. Walnut Creek station - Broadway Plaza via the County Connection Route 4 Free Ride Trolley. Now that the Paragon Outlets Livermore Valley are open and lining up cars for miles, are the Tracy Outlets doomed? The Tracy Outlets, owned by Northwest Outlets since 2008, was built at the height of the outlet mall crazy in 1994. Tracy Outlets were so popular, they clobbered the competing Big Valley Factory Outlet Mall in Lathrop, which opened in 1994 and eventually converted to offices in 1996. One could arguably say that the Tracy Outlets even took the steam out of Livermore's first attempt at a factory outlet mall, The Vineyard at Livermore [outlets], also converted to offices. 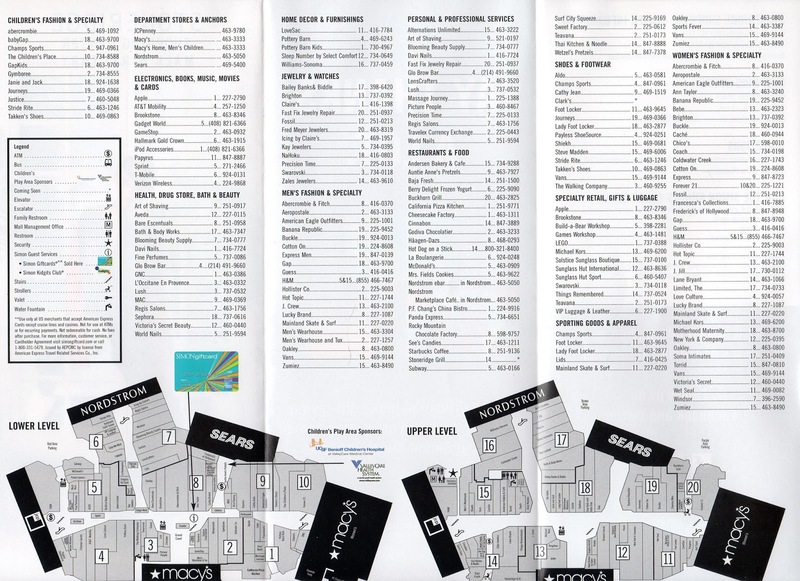 What stores are duplicated in Livermore? Carters, Famous Footwear Outlet, Levi's Outlet Store, OshKosh B'Gosh, and Van Heusen. A total of 27 retail spaces have been carved out of the 153,000 sq. ft. center. With the percentage of the center leased running at 50%, can Tracy Outlets survive in its current form? Scott is a professional writer, retail historian, and admirer of subdivision marketing from the 60s and 70s. A native of the San Francisco Bay Area, California, you can often find him at the mall. Copyright Scott Parsons. Picture Window theme. Powered by Blogger.